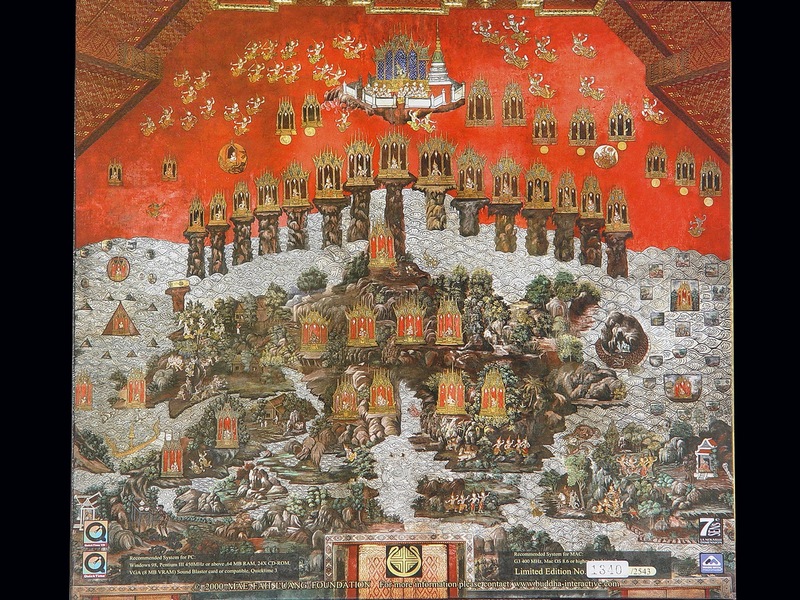 The Temple of the Emerald Buddha at the heart of the Royal Palace in Bangkok is the holiest Temple of Thailand and constitutes the Far-Eastern equivalent of the Sixtine Chapel in Rome. 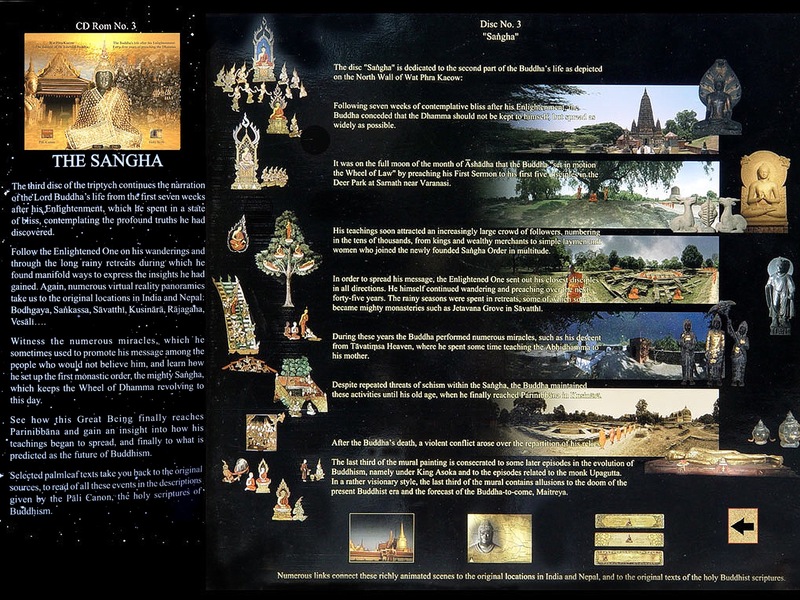 Erected in 1782 AD the never before photographed murals of this shrine, covering a surface of some 1800m2, depict the life of Gotama Buddha. 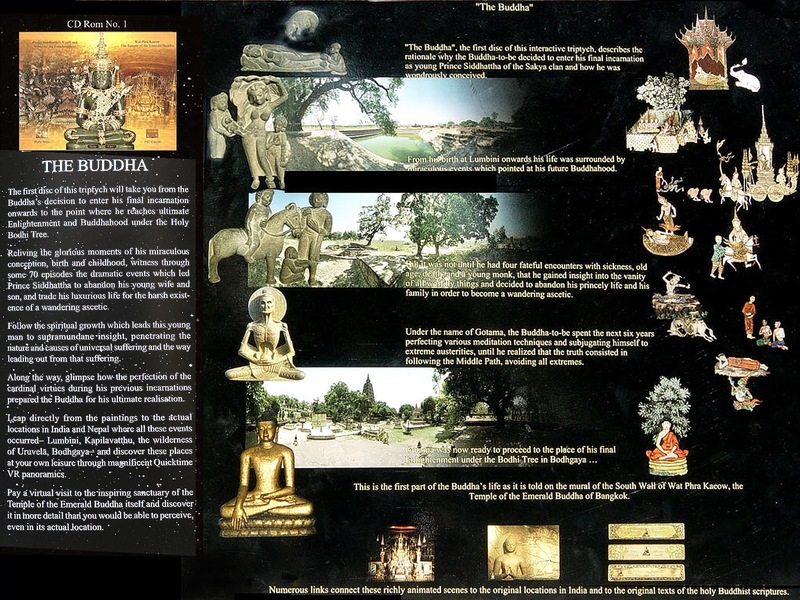 Interactively correlated to the life itinerary and the holy sites of Buddhism in India and Nepal this monumental interactive production provides an in depth introduction into the life and teaching of Gautama Buddha. 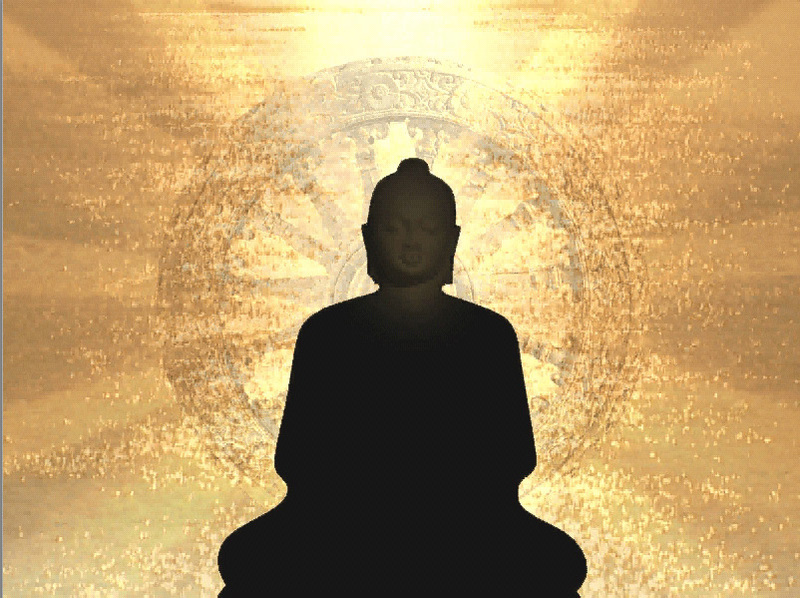 Each segment of the program provides an in-depth insight into the biography of the historic Buddha and the spiritual evolution he underwent in order to attain supreme Enlightenment. 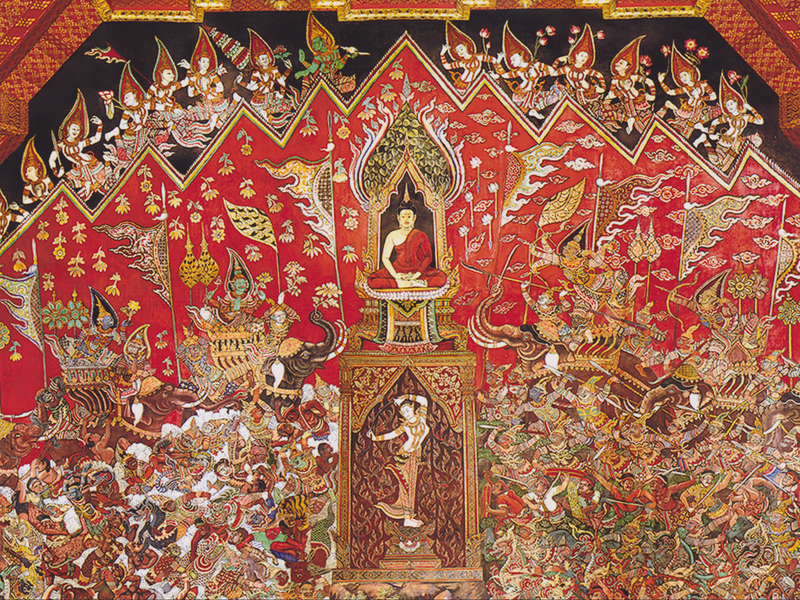 Commissioned by the Mae Fah Luang Foundation under Royal Patronage of H.M the King of Thailand at the occasion of the 100th birthday of Her Royal Highness Princess Srinagarindra, the Princess Mother of his Majesty the King of Thailand. 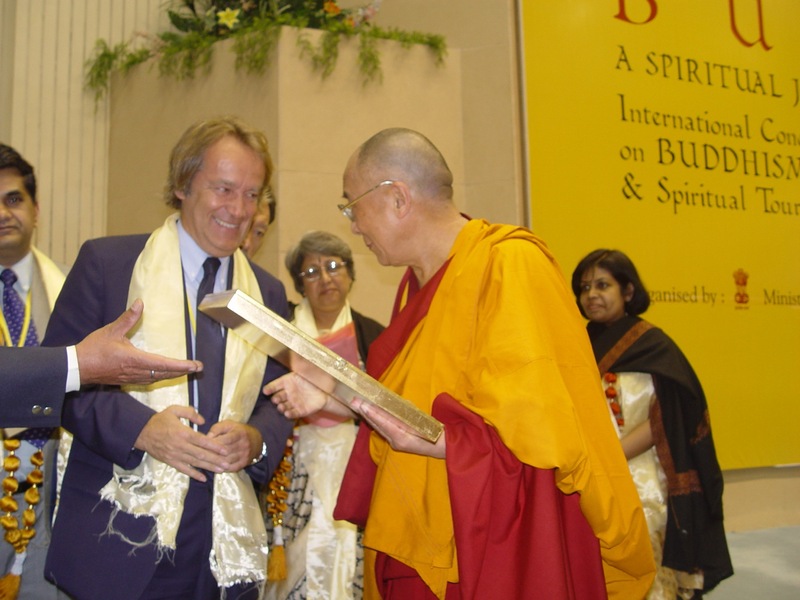 Presentation of the collector´s Edition of “ What Did the Buddha Teach?” to His Holiness the Dalai Lama in New Delhi. 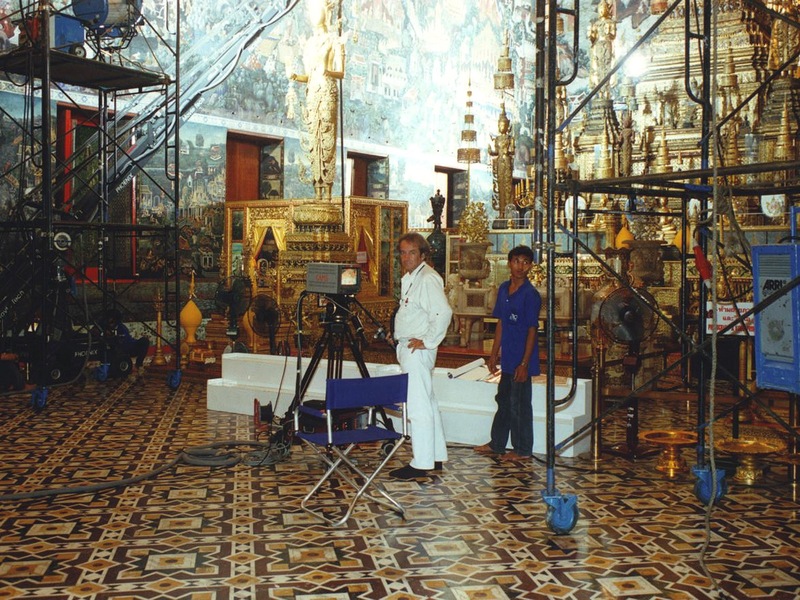 The walls of the Emerald Temple being too large to be photographed without distortion and in sufficient resolution, they had to be scanned square meter by square meter during a three week long shooting. 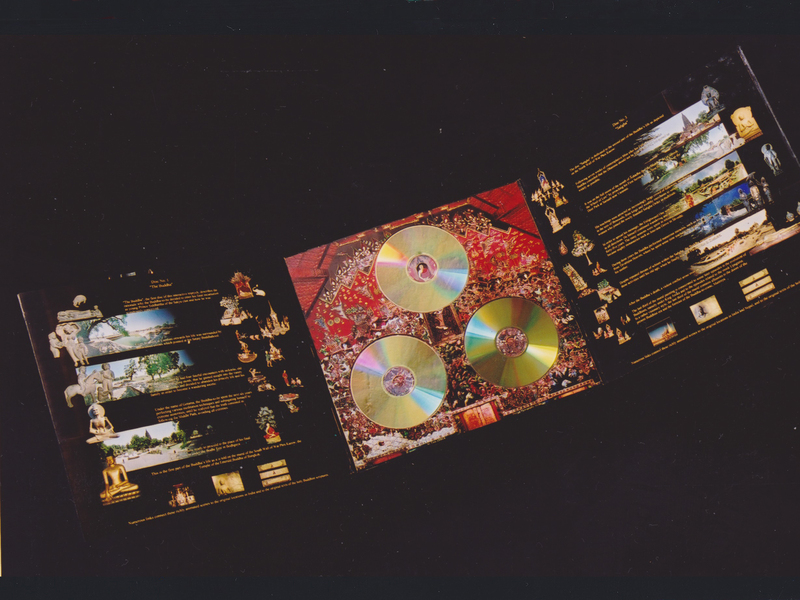 Disc No. 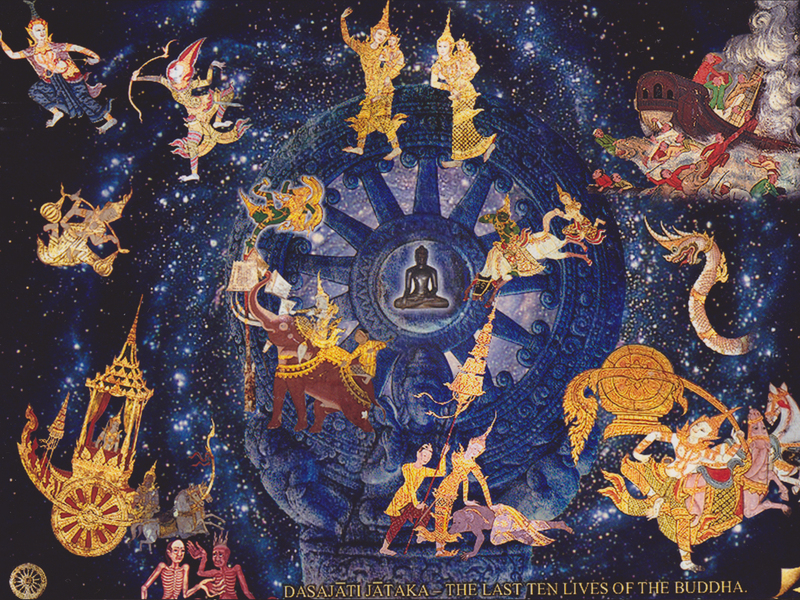 1of the CD-Rom Triptych narrates the life of Lord Buddha until his enlightenment, in some 80 scenes. 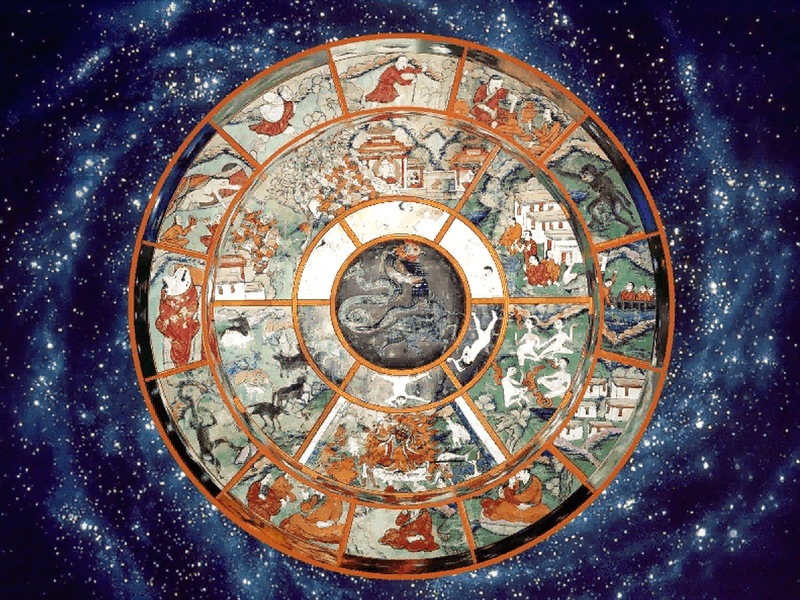 Disc No. 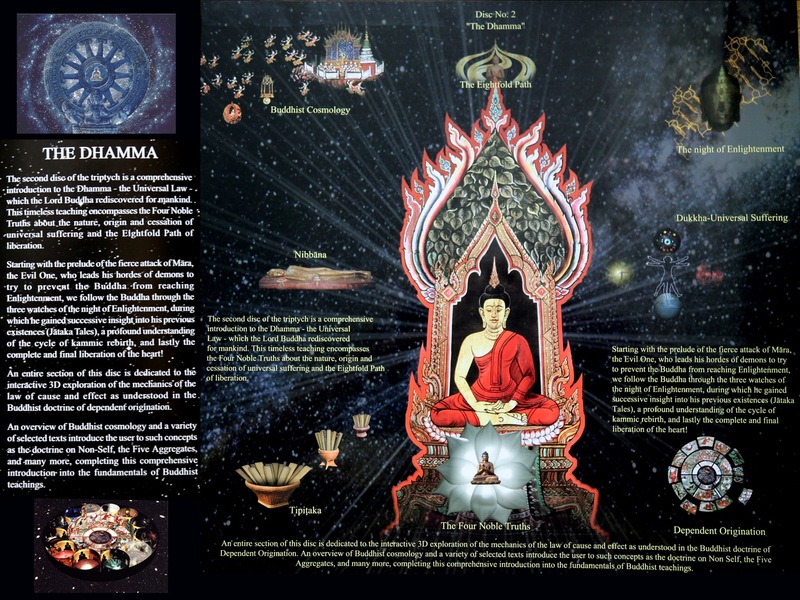 2 is consecrated to the night of Buddha´s enlightenment and to the insights he gained during this process. 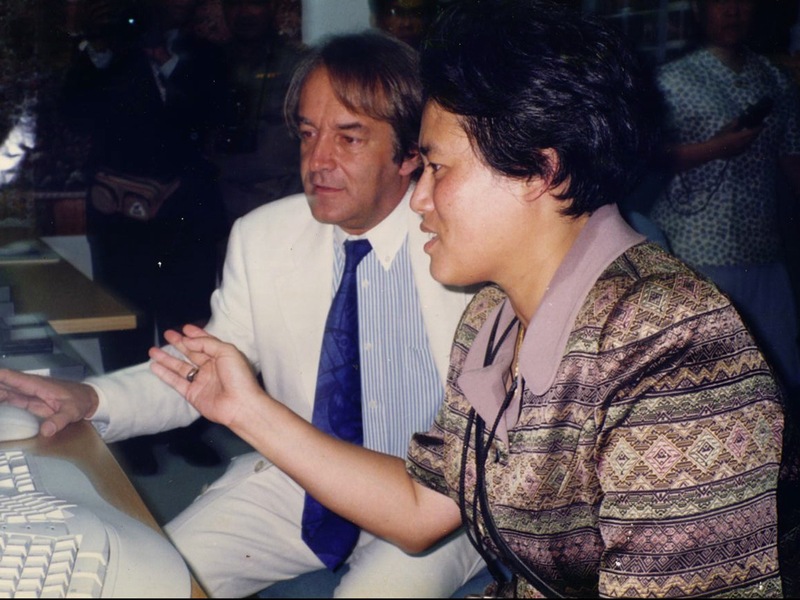 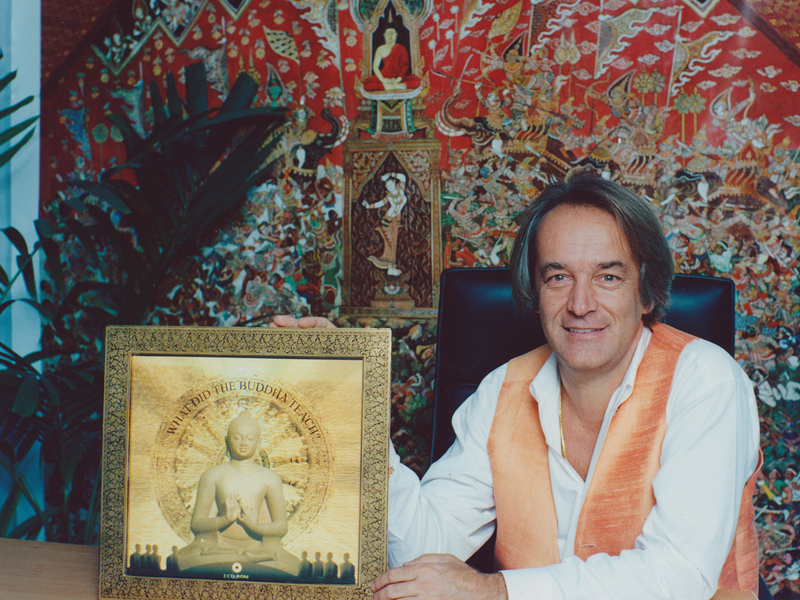 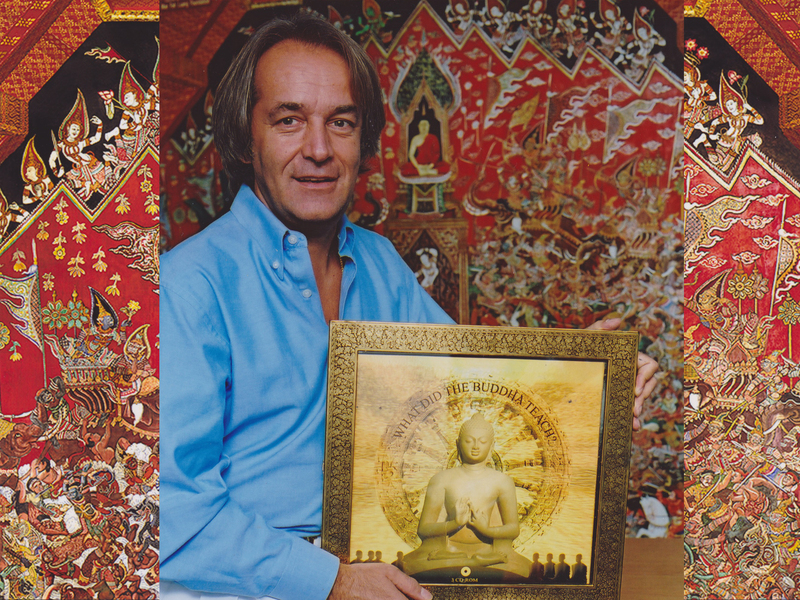 Disc No.3 is dedicated to the seven weeks after the Buddha´s enlightenment and to the rest of his life, as he made sure that his message would be universally spread. 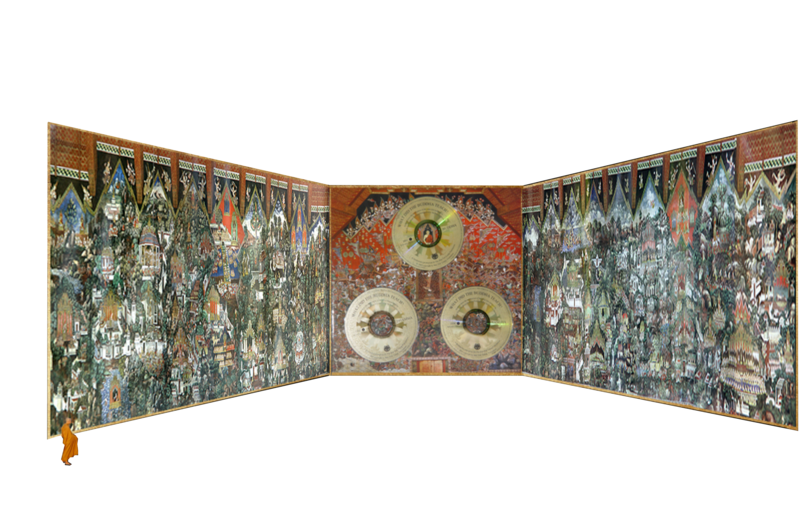 The Western wall of the Temple, depicting Buddhist cosmology, and hidden to a large extend by the actual shrine, becomes for the first time ever photographically reproduced in this work. 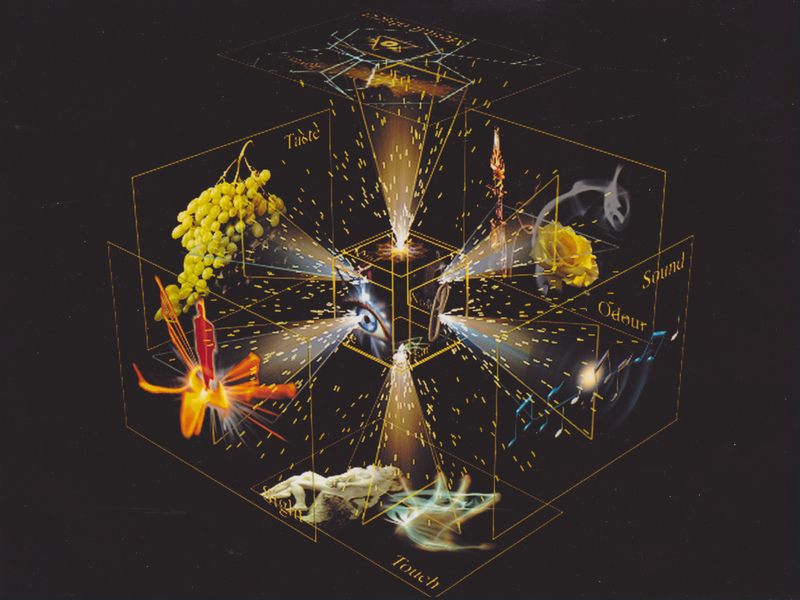 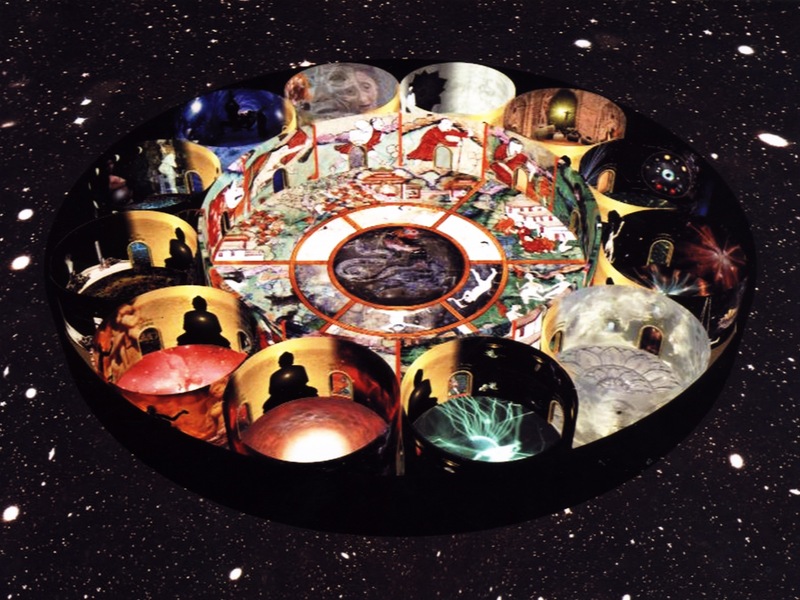 …letting the user explore each of the 12 conditions of “Dependent Origination” in a virtual reality environment. 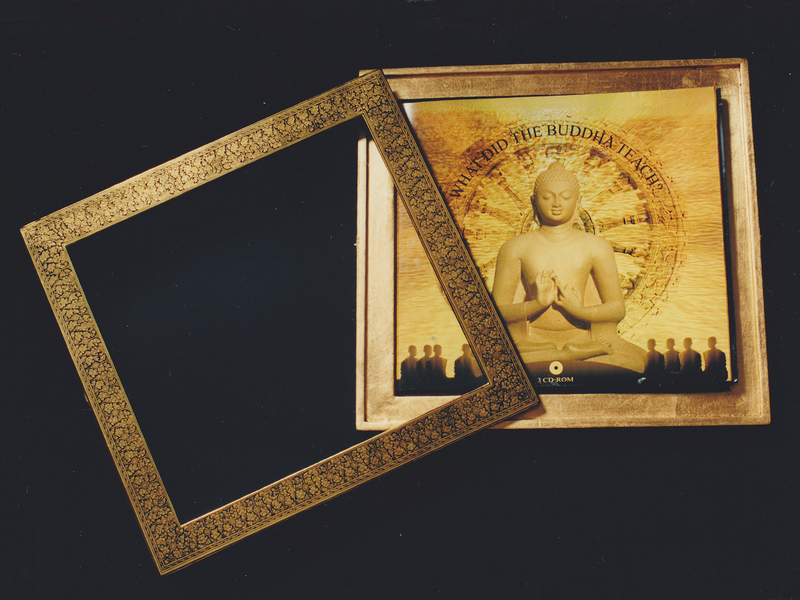 Original booklet of the limited, hand-numbered Collector´s Edition of What Did the Buddha Teach? 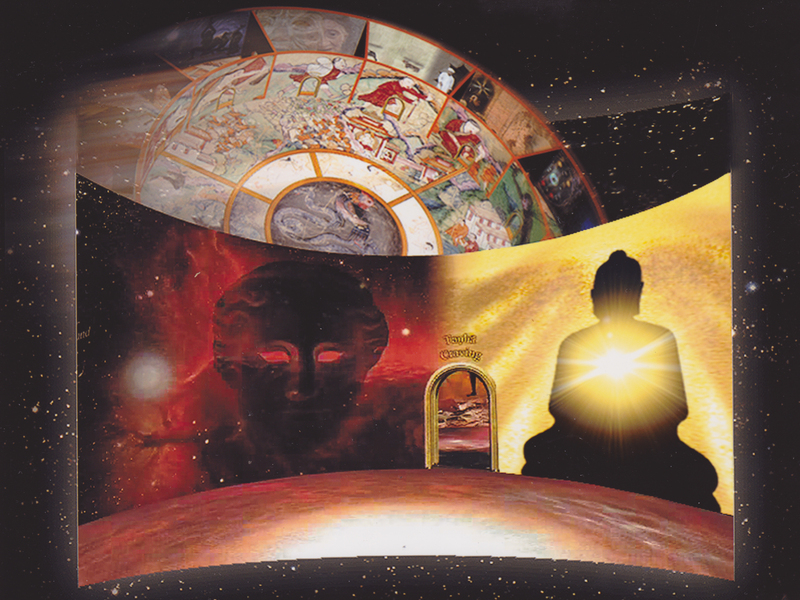 Screen submenu “ The last ten incarnations of the Buddha”, from CD-Rom No 1, “The Buddha”.